2 bathroom with shower/tub. 2 sinks in the Master Bath. Great views from the 15th floor. Beachfront with 3 pools and hot tubs in complex. Great beachfront views from the 15th floor. Large parking lot for the Summerwind complex, see pictures. 40 inch flat screen, DVD and VHS in the living area. TV and DVD's in all bedrooms. Balcony has Great Gulf views! 3 complex pools with one pool heated during winter season. See pictures. This has been one my favorite rental units thus far. It is located in a quieter part of the area, not as rowdy as Pensacola or Destin but surrounded by enough eateries and other ammenties you don't need to travel too far. Beautiful proprety, comfortable beds, my only small complaint is that the masterbedroom tended to be a little warm at night, but other than that it was a picture perfect stay. Thanks for the good review. All guest, our local management company has installed energy saving software in all their managed unit. If the unit is warm, please call me directly to override these settings. Their minimum AC setting is 72, but my units should allow a 70 degree minimum setting. The condo was very clean and updated and offered just about any thing you would need in the kitchen as far as dishes and cookware. The complex itself was quiet and well kept as well. But of course the best part was the amazing view from the 15th floor. We watched dolphins swimming from the balcony almost every day! Thanks. We love the view as well! Everything was great except for our lock to the condo was not working some of the time and the internet went out for the last half of our trip. Beautiful area! Glad you enjoyed your trip and I’m sorry for the Internet and lock issues. The Summerwind complex (all 3 towers) were changing internet provider to Mediacom, who have offered a big boost in service to 50 MBPS download speed. The locks are tied to the Internet which caused some temporary outages. All internet issues are now fully resolved and again, I sorry for an inconvenience during the upgrade period. All future guest should appreciate the higher download speed. We lioved it , will be back . 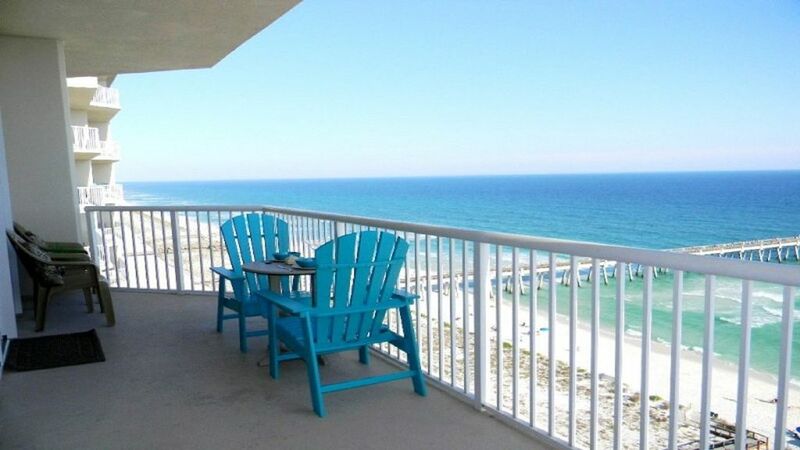 Navarre does not have as much for teenagers to do but makes an excellent quiet and relaxing getaway for adults . The condo was beautiful. The pictures did not do it justice. I cannot wait to come back. Glad yawl had fun! It's always great to meet and hear from guest. My friend and I stayed with our kids at the condo for spring break. The condo is clean, spacious and well stocked with kitchen utensils/amenities. The view is fantastic. The king size bed in the master was particularly comfortable! We would definitely come back again. Thanks for your kind review and other suggestions. Now that I own a second unit in the Summerwind Complex, which is a 3 bedroom/3 bath unit in the Center tower, I got to meet Denai during her stay. It's always good to hear from happy guest as I try to better meet your needs. Please let me know when you are ready to visit again. Renter must be 25 years old or older. ID will be checked upon check-in by Local Management company located in the Summerwind complex. Rental is subject to Local Management company rules. 25% deposit required for reservation. Remainder of the balance is due 30 days before scheduled arrival.